Sally Thomson is a freelance documentary and fine art photographer based in Santa Fe, New Mexico. Her passion lies in creating images that focus on people, place, and culture. She explores the themes of landscape, identity, and narrative using photography as a tool for translation and storytelling. Her photographs often reflect her background in landscape architecture/environmental conservation, and explore issues related to the human condition and natural world. Sally is a Conservation Photographer with Art for Conservation, and co-president of the American Society of Media Photographers, New Mexico chapter. Her work has been commissioned by private individuals, corporations and not-for-profits, and has appeared in a variety of print and web-based media. Her project, Stories from the Range, was selected to appear on the THE FENCE NM 2017 and was featured on World Photography Organization site, a global platform for photography initiatives. She was a finalist in the international Biennial Grant Competition May 2017. Her work has been selected to appear in the 5th Biennial of Fine Art and Documentary Photography this fall in Barcelona, Spain. 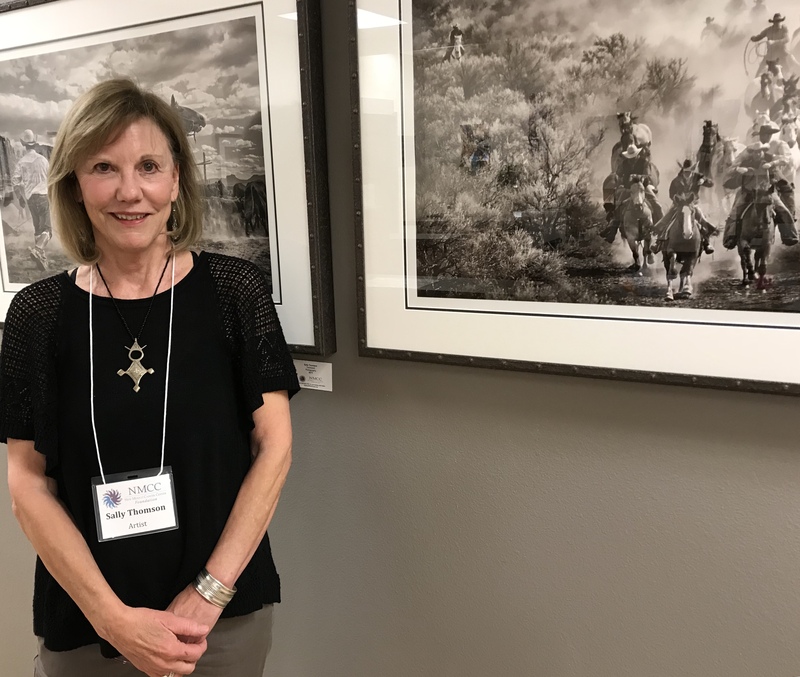 Her imagery has been shown as a solo exhibit at the University of New Mexico, and in group shows in Santa Fe, at The Hubbard Museum of the West, The New Mexico Museum of Natural History and Science, ANMPAS, and various galleries across the Southwest region. She is currently represented by Edition One Gallery in Santa Fe. In most parts of the country horses have become creatures for pleasure having lost their work function decades ago. But, on Southwest rangelands, they continue to play a valuable role as hardworking and loyal companions. “Partners on the Range” is a visual narrative that hopes to convey the power and pride of these stately animals, and the working relationships shared with their human partners.